HCM City (VNA) – The Ho Chi Minh City Party Committee held a ceremony on December 19 to introduce a set of books about the National Liberation Front of South Vietnam, the Alliance of National, Democratic and Peace Forces of Vietnam and the Provisional Revolutionary Government of the Republic of South Vietnam. The compilation process began in August 2016. The compilation council received 493 pieces of writing about the front, the alliance and the provisional revolutionary government from collectives and individuals across the country. The books feature 162 carefully selected pieces of writing and details of events throughout operations of the three organisations, along with 227 photos collected from various museums. At the ceremony, Secretary of the municipal Party Committee Nguyen Thien Nhan noted the significance of the front, the alliance and the provisional revolutionary government, all of which greatly contributed to the liberation of the south of Vietnam and national reunification. He said one of the outstanding successes of the books was the withdrawal of precious lessons of the three organisations. The compilation work was performed by veteran officials, many of whom experienced both struggles against French colonists and the US. 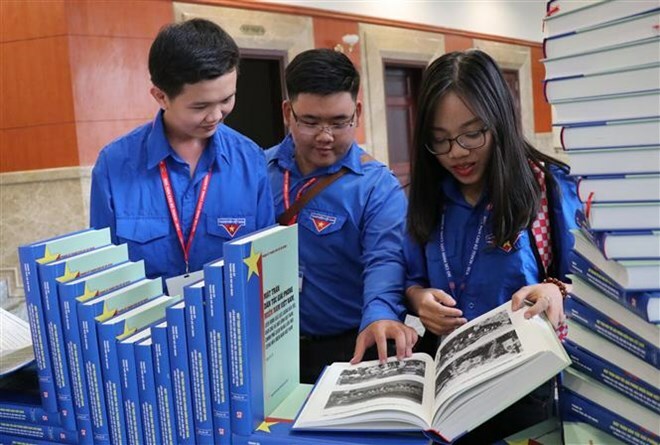 According to President of the Vietnam Fatherland Front Central Committee Tran Thanh Man, the books are significant to the front’s communications activities as an inspiration for the youth. He proposed that Ho Chi Minh City continue exploiting the remaining documents, while popularising the books among the society.